I was recently advised to watch the show Dirk Gently’s Holistic Detective Agency on Netflix. I hadn’t bothered with this show for a long time because I had never been particularly keen on the book of the same name by Douglas Adams. A friend of mine was very enthusiastic about this show, so I decided to give it a try and loved it. The story is based around a group of characters, mainly the eponymous Dirk Gently, who solve bizarre cases through a series of strange and seemingly random coincidences. I won’t say much to spoil the plot but I will say that while I enjoyed the first season, I absolutely loved the second season, partly because of a couple of amazing new characters, but also because the story wove in a high fantasy parody. It should be no surprise to anyone reading this blog that I love fantasy, and so I thoroughly enjoyed the fantasy parody world dreamt up in this story. It is a world that takes itself very seriously indeed, but has knights fighting with giant pairs of scissors, burgers growing on trees, and a series of ridiculous names that I think warrant some of the actors deserving awards for just getting their lines out with a straight face. I had a notion to take clips from this silly parody plotline and try to piece them together in a way that made the story seem like a serious, fantasy epic. This was not an easy task, especially since all the shots of the armies with their weapons looked ridiculously silly, and the wide shots feature a man in the moon, but I had fun with it. Here is the result: The Epic of Wendimoor. It goes without saying that I’ve been very selective in my use of clips but I’ve somehow managed to make it so that the title character isn’t actually in any of them. So don’t be surprised when you watch the real show and it’s nothing like I’ve made it seem here. I want to take an example of a work of fiction and use it as a demonstration of how to write complex characters. The work of fiction I’m using here is the anime show Fullmetal Alchemist: Brotherhood, and I will be including some spoilers for the character development of some of the major characters (though I’ll try to avoid spoiling the main plot of the series as a whole). Would risk his life to protect the innocent. The first character sounds like a villain, the second like a hero. The thing is, they’re both the same person. The character of Colonel Mustang is one of the main characters of the series through its entire run and he is interesting for his depth. He is a very powerful alchemist, capable of causing enormous damage with his power. It’s revealed that during a war that took place prior to the main events of the series, he was a soldier sent in to commit genocide. He and several others of the characters were involved in this fight almost wiping out an entire people. When the fighting was over, he was the first to admit that he and his associates were war criminals. Filled with guilt over the blood he had shed, he decided to change his country for the better and bring an end to the military rule and constant warfare that was a huge feature of his country. 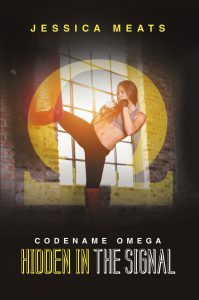 He decided that he was going to work his way up the ranks until he has enough power to make significant changes. Over the course of the show, he is shown to be highly ambitious, but that ambition doesn’t stop him from protecting the people who serve under him and in fact one of the main drivers behind his desire for power is to have more power to protect people. When one of his people is murdered, he is the most determined figure in tracking the killer. When another is framed for a crime, he helps her fake her death and escape from those following her. His people are fiercely loyal to him, but he is just as loyal to them. When going into battle, he orders his followers not to die and later tells people to leave him and run if things go badly. The comment about treating his people as pawns came from a single moment in an episode. 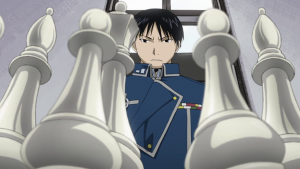 When his enemies have out maneuvered him and scattered his people, he has a scene where he is looking at a chess set and thinking of those he’s lost: “They’ve taken my knight. They’ve taken my rook.” All of the pieces – pawn, knight, rook, bishop, and queen – are mentioned in this context. So while one of his men does get describe as his pawn, it’s not in the sense that might be expected. As for the military coup and teaming up with a mass murderer, both of these are done to take out a threat, a villain who plans on causing a massive loss of life, and through the coup he avoids killing and has his followers do the same. His actions in this case are heroic. 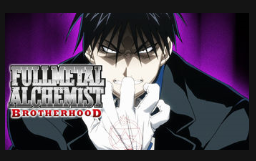 I find it interesting that one of the images Netflix uses on thumbnails of this show is an image of Mustang looking thoroughly evil. He is a character who has many of the character traits and goals associated with a villain, and who occasionally starts down a villainous path, but who remains ultimately one of the good guys. The mass murderer in question is another interesting character. 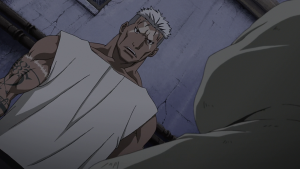 Scar is introduced in the early episodes as a villain. He is a murderer who goes around killing alchemists, and even tries to take out the protagonist of the show. He is shown repeatedly to be a ruthless killer. Yet, even in these early episodes, he is shown to have more to his character. When he is faced with a girl who has been the subject of a cruel, alchemical experiment, he feels pity for her. Her death at his hands is portrayed as an act of mercy because there’s no way for her to be saved. These events also show, even though his actions are vile, he might have a point about how some alchemists use their powers to commit atrocious acts. At a later stage, Scar protects another girl, saving and defending her even though he has nothing to gain. Despite his clear position as a villain in the story, he shows humanity. As the audience, we gradually learn more about his background and it’s revealed that he was from the nation that was wiped out in the genocidal war. Despite his horrific actions, as an audience we can feel some measure of sympathy for him because he has very good reason to hate the alchemists. In the war of extermination, the alchemists were very much the bad guys and he feels his murders of them are justified. As each piece of information is revealed, we are able to understand what drives Scar to act as he does. Later on, when he learns who orchestrated the war, he changes his tactics. Instead of going after the alchemists, he decides to go after those who gave them their orders and triggered the war in the first place. He stops wanting to destroy the country that destroyed his and ends up being one of those who saves it. His actions are not forgiven. When he is confronted by the child of two of the people he murdered, he doesn’t deny that what he did to them was a crime. He doesn’t try and excuse it, even though there were excuses he could make. In this instance, he’d been caught up in an attack and just seen his family slaughtered. When he woke up in a hospital, he was disorientated and confused, and saw two people who were of the same race that had been waging war on his land. His instinctive reaction was that they were the enemy. But even though he had this excuse, he accepted that those deaths were wrong. His actions were unforgivable, but he as a person can earn forgiveness and changes. He is accepted by those he hurt and they are all able to move beyond their past. His redemption arc works so well because even as a villain he was understandable. He had good reason for his hatred. Without ever condoning his actions, his motivations made sense. This complexity of characterisation isn’t reserved for these two. So many of the characters in the series are shown to be interesting people with many facets to their personalities. One thing I found interesting was that even those characters which are framed absolutely as the villains of the series can have moments of humanity. One villain speaks fondly of his wife as being the one aspect of his life where he was able to choose what he wanted. One character has a death scene, after many episodes of him being shown as monstrous, in which he is a sad, pitiful thing, crying and alone. The audience can still feel a moment of sympathy for a character who is otherwise vile. I found that really interesting, that even the most evil characters have motivations that can be understood – even if their actions were beyond awful. At one end of the spectrum, there are characters who are evil but who occasionally show rare moments of compassion or humanity. At the other end, you get the heroes, who are definitely good people but who have their flaws (like Ed’s short temper any time anyone calls him short). In the middle, there are a range of characters who aren’t quite good or evil, like the character of Greed who is extremely selfish but not really evil. Then there are characters like Mustang and Scar who fall at different points of this spectrum at different points in their character arcs, in a way that feels completely natural. This show provides a great example of how a story can have characters with depth and layers, and the world of the show is filled with people who are flawed but understandable individuals. It’s a great case study if you want to learn how to build more complexity into your characters and write excellent redemption arcs.